A little bit of history If you’re into fountain pens even a little bit you’ll probably already know about TWSBI. If you don’t, the name may prove a little baffling, but the internet is full of exciting tales about how it means the hall of the seventh wonder of the world written upside-down by bees, or some such. But let’s not worry about that here. The main thing is that it’s a very enterprising Taiwanese company who really put the time in to listen to their customers and use the input to develop their new models, and this Eco is, as the name would suggest, the most affordable yet. How it looks Like a prop from Stanley Kubrick’s 2001, which is to say modern but groovy, in a subtle sort of way. There’s no attempt at cheap bling, and whether you go for black or white caps, the barrel is clear, so you get to admire the main feature; that big barrel full of ink. How it feels Picking this up is quite a pleasure. It’s full-length and well-balanced without needing to post the cap. The finger-guide is effective without the sharp corners of the Lamy Vista, for instance. The Eco feels solid and well-engineered. How it fills It’s a piston-filler! That not only means that there’s a huge amount of ink in there – enough to get you through the average working week, we reckon – but it also marks this out as a manufacturing marvel. 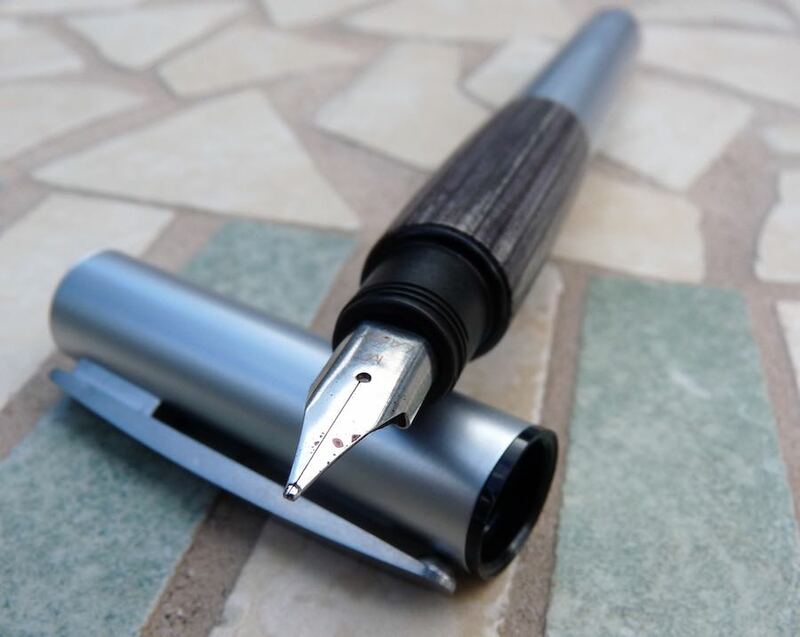 Leaving aside some fun-but-fragile Indian budget pens, no-one has been able to produce a proper CNC-cut piston mechanism at anything like this price before (the cheapest Pelikan or Pilot pistons will set you back at least three times as much), and the Eco earns serious credit for this achievement alone. There’s no removable section, but it’s still possible to clean thoroughly between fills as the feed and nib are friction-fit and the piston mechanism can be removed and replaced with the special tool provided with the pen (the box also includes a handy phial of silicone grease). Pen! What is it good for? We think this is just right for someone just getting in to fountain pens who wants to know what the fuss made of piston-fillers is all about, and probably a good choice for students too (albeit with the caveat that this is one to clip into a pocket rather than fling around in a pencil case, if leaks are to be avoided). VFM Absolutely stellar; a properly-engineered large capacity piston mechanism for so little money is a very impressive achievement, and there’s nothing much about the Eco that feels cheap and tacky (with the possible exception of the rather basic clip). If this isn’t quite your cup of tea, but almost… Then take a look at some of TWSBI’s other models, many of which use the same piston-fill mechanism with slightly classier components. The 580, for instance, uses a larger nib, has a removable/swappable section for easy maintenance and nib variation, looks like a premium pen and yet often costs only 30-40% more than the Eco. Our overall recommendation If you want a brand-new functional and fun piston filler at the lowest price possible, look no further. 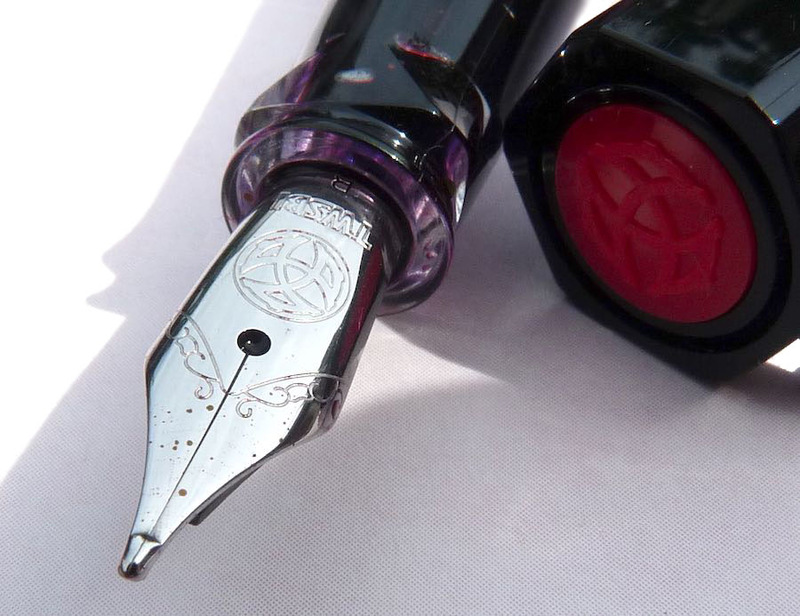 Should you be in possession of a fair number of fountain pens already and be curious about TWSBI as a brand, however, the 580 or even the Mini may be more compelling attractions. But you’ll end up buying one of these because it’s just so darn tempting anyway! Where to get hold of one We all got ours from Pure Pens, and in the UK several specialist retailers including Cult Pens and The Writing Desk also stock the full TWSBI range. Internationally, as well as other specialist pen shops, you can also buy direct from TWSBI in Taiwan (but watch out for postage and customs charges). Thanks to Pure Pens for providing the pens we reviewed, and for putting up a nice discount for the first week after publication.